The Unified Multi-purpose ID (UMID) can be used securely with any listed government agencies such as the Pag-Ibig Home Development Mutual Fund, GSIS, and Philippine Health Insurance (PhilHealth). All the information you need is all in one card! Whether you’re a fresh graduate or someone who’s been working for a while now, there are some things you need to know when it comes to working in the real world. Almost all offices and businesses in the Philippine setting require government-issued identification, one of them being the Social Security System (SSS) identification card. However, the SSS ID has been phased out to make way for a newer and better system, the Unified Multi-purpose ID, or UMID for short. It’s more than just a photo op and embedded personal details on plastic. In fact, this ID system uses innovative technology of biometrics for identity confirmation, with major emphasis on individual’s respect to private information and security sensitivity in one’s identification. The UMID also has measures to prevent multiple issuances of cards often used by some to cheat the SSS and rip off benefits and services without proper processing. Here are the requirements for a UMID Application. Requirements For Applying UMID Card. Fill out UMID Application Form. Note: There is no need to bring any pictures (1x1 or 2x2) as the agency will capture your photo on the spot! 1. Get a UMID Application Form. UMID Forms are available at the application centers. You also have the option to download the form online. Be sure to double check all the information you’ve entered in the form. How to Apply UMID, Procedure. After securing the needed documents and finishing filling up the form, you may now visit any SSS Office Branch within your city or region to process your UMID. Be sure to submit your filled out form along with your valid IDs and documents for verification! Once you’re verified, you’ll be transferred to another window or designated area for ID picture taking, fingerprint scanning, and electronic signature signing. After all the processing starts the waiting game. While some have said that the UMID will arrive in 30 days by mail, there has been confirmation that the UMID processing time and release of the card is now cut down to 10 business days! So what are you waiting for? Get your own UMID today! 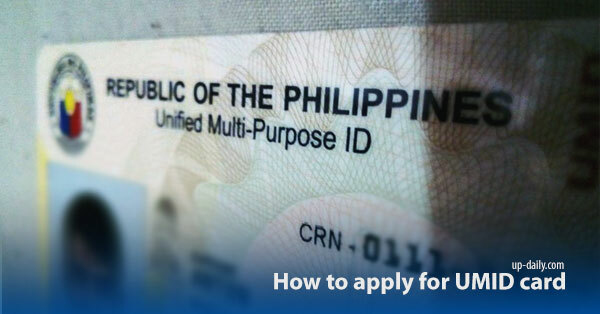 How to apply for newly improved Postal ID.